Areas of Excellence: The Chapter Awards Committee, in consultation with its requisite awards accounting firm, shall determine the level of excellence for each of the disciplines judged. The first designation determines the score required to receive a nomination. The second designates the score required to receive an award. All entries that receive a score above the nomination level shall receive nominations. Of this group (the nominees), those that receive a score above the designated awards level, shall receive an award. It must always be emphasized that entries do not compete with each other; they compete against levels of excellence. Therefore, in each Area of Excellence, there may be one award, more than one award, or no award in a given category. One award, more than one award, or no award (except where noted) may be given to the producer(s) and others directly responsible for the content and execution of the news program, segment or coverage. Anchors, reporters, photographers, editors, assignment editors, hosts, directors and qualified others may be eligible if their contributions are significant to the entry’s award-worthiness. Submitters who created work as part of media pool coverage can only enter their material once and must clearly identify their contributions on the entry. For any entry designated as a series, a minimum of two reports must be included. For excellence in coverage of a single news story or topic which is assigned, shot, edited and aired within a 24-hour period. Entry may include live and/or taped elements and online content. Time limit: 10 minutes. COMMENT: This is the basic news reporting done day-in day-out by a News Department. This is for the coverage of planned events and done as planned assignments. No time limit entries should be carefully reviewed to insure that these were assigned reports and not pitched or created reports that would fall under Feature or Special Reports. For excellence by a team involved in covering multiple news stories on a single subject, shot, edited, produced and aired within 24 hours. Entry may include multiple live and/or taped elements and online content. Exempt from composite five-lift rule. Entry length shall not exceed 60 minutes. One award, more than one award, or no award is given to the producer(s) and others directly responsible for the content and execution of the program, segment or coverage. Anchors, reporters, directors, photographers, editors, assignment editors, hosts, writers, and qualified others may be eligible if their contributions are significant to the entry’s award-worthiness. For non-news program entries, unless specifically stated, the entry may only contain content from one episode of the series, not multiple installments. Submitters who created work as part of media pool coverage can only enter their material once and must clearly identify their contributions on the entry. For excellence in a coverage of health, medical topics, or subject matter. Time limit: 10 minutes. Series time limit: 15 minutes. For excellence in coverage of current issues of societal concern, social ills, community or general public interest. For excellence in coverage of a sports NEWS story from a newscast or sportscast or sports news program. Time limit: 10 minutes. Series time limit: 15 minutes. 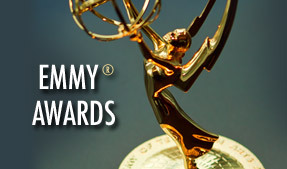 For excellence in a sportscast within a newscast or sports news program. Time limit: 10 minutes. For excellence in a coverage of sports in general, sports related topics or sports news program. For excellence in a sports limited series (non-news). Entry may be live or recorded live. Entry must have, as its basis, special coverage not to be taken from a newscast. Entries may include multi-camera and pre-produced segments that cover the full spectrum of the event. Entry may have no post edits except for the removal of commercials. Entry will be judged on overall content, presentation, enterprise, writing, format, teases, etc. Time Limit: 30 minutes. For excellence in a one-time sports related special program that is not part of a daily or weekly sports program. Entry may be live or recorded live. Entry should have no post edits except for the removal of commercials. Time Limit: 30 minutes. For excellence in production of a single program, special or series, live or recorded live sports event or game. No post edits. A composite (from one episode or game) is required and may include examples of: Show Open, Graphics Package, Use of Replays, Inserted Pre-Produced Segments, Use of Statistical or Other Prepared Material, Highlights, Standard Coverage (e.g. Routine Innings or Downs) and any additional material at entrant’s discretion. Exempt from composite five-lift rule. Time Limit: 30 minutes. One award, more than one award, or no award is given to the producer(s) and others directly responsible for the content and execution of the program, segment or coverage. Hosts, moderators, reporters, directors, photographers, editors, writers and qualified others may be eligible if their contributions are significant to the entry’s award-worthiness. For program entries, the entry may only contain content from one episode of the series, not multiple installments. Submitters who created work as part of media pool coverage can only enter their material once and must clearly identify their contributions on the entry. interviewer(s) and the interviewee(s) are visible on camera. Time limit: 30 minutes. For excellence in a feature or segment from a program, series or special on current issues of societal concerns, social ills, community or general public interest. Time limit: 10 minutes. For excellence in a program, series or special on current issues of societal concerns, social ills, community or general public interest. Time limit: 30 minutes. Awarded to the President/General Manager only for excellence in the overall operations of a television station, news/sports cable system or online media outlet, during the eligibility period. Entry should reflect the organization’s overall local product including any news & sports coverage, other locally produced programs, promotional announcements, on-air examples of events hosted by the organization and involvement in the community, and any further evidence of excellence. Entry should emphasize the quality, breadth and efficacy of the organization’s operations, stressing substance rather than style, and exhibit performance in sustaining excellence throughout the eligibility year. Exempt from the five segment composite limits, but the entry must be comprised only of material as actually aired. No introductions, post production, montages, music or special effects may be added. This is not intended to be a “buzz” or demo reel. Entry should include a one-page, written synopsis of the organization’s operation, product, accomplishments and achievements. (Note: This category is exempt from “double-dipping” rules.) Entry length shall not exceed 30 minutes. Awarded to the News Director only for excellence in the overall news operation during the eligibility period. Entry should present as many different examples as possible, including, but not limited to: enterprise in general assignment reporting, breaking news coverage, specialty and beat reporting, series, documentaries, continuing coverage of community issues, editorials/commentaries, etc. Entry should emphasize the quality, breadth and efficacy of a news operation, stressing substance rather than style, and exhibit the news department’s performance in sustaining excellence throughout the year. Exempt from the five segment composite limits, but the entry must be comprised only of material as actually aired. No introductions, post production, montages, music or special effects may be added. This is not intended to be a “buzz” or demo reel. Entry should include a one-page, written synopsis. (Note: This category is exempt from “double-dipping” rules.) Entry length shall not exceed 30 minutes. Awarded to the individual most responsible for excellence in programming; whether news or non-news, involving the entire company in a continuing effort to focus interest on, and marshal support for, a worthy community cause. Entry should emphasize the depth, breadth, duration and efficacy of the effort, and must be comprised only of material as actually aired. No introductions, post production, montages, music or special effects may be added. Composite entries are allowed, but entry is exempt from five. segment composite limits. Entry should include a one-page, written synopsis. (Note: This category is exempt from “double-dipping” rules.) Entry length shall not exceed 30 minutes. While craft entrants may submit more than one entry per craft discipline, only one of those entries may be a composite. Elements of the composite may not be separately entered as individual craft entries. Craft awards are intended for hands-on craftpersons, not those that supervise craftpersons. For excellence by a cross-discipline individual, serving also as photojournalist, editor, talent, and writer; covering a single or multi-part story or topic. Entry may not be entered in any other craft category.